The Howland Cultural Center in Beacon celebrated Women's History Month with an art exhibit, which opened on Saturday, March 1, 2014. 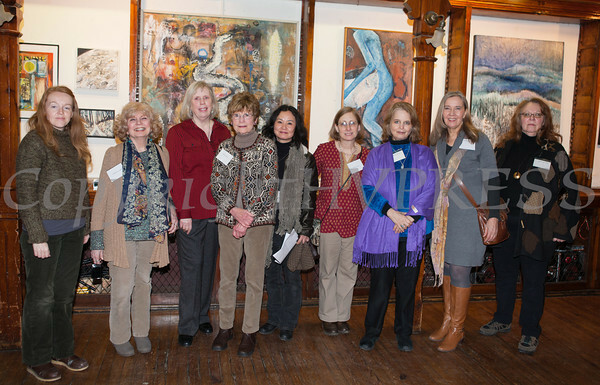 The Howland Cultural Center in Beacon celebrated Women's History Month with an art exhibit that featured work by artists Gwenno James, Stephanie Fogarty, Anne Forman, Helen Lang, Insun Kim, Robyn Tauss, Janice Ruhe-Schoen, Kate Vikstrom and Mary Ann Glass. The exhibit opened on Saturday, March 1. Hudson Valley Press/CHUCK STEWART, JR.